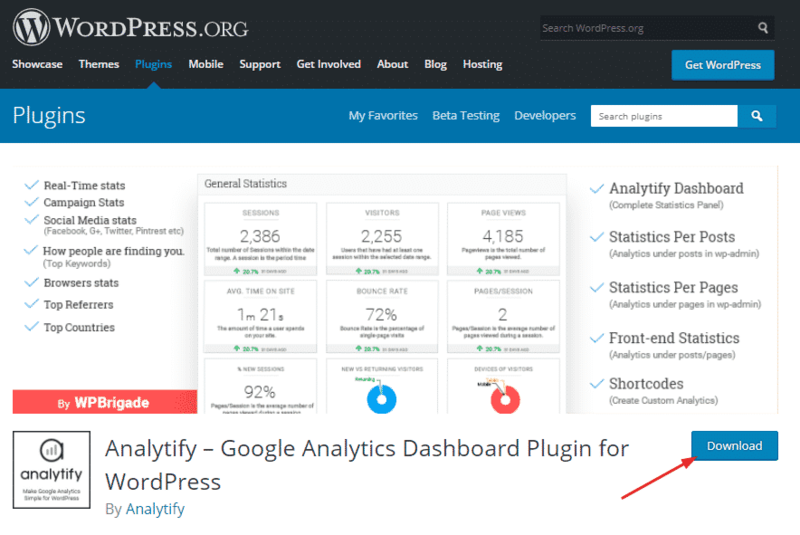 Visit WordPress.org and download Analytify. Login to the Admin Panel of WordPress. Navigate to Plugins >Add New> Upload File. Click on Upload File>Choose File. From there select the wp-analytify.zip which you downloaded from WordPress.org. Click Install now, when done click on Activate Plugin. You will see a success message after the installation is complete.